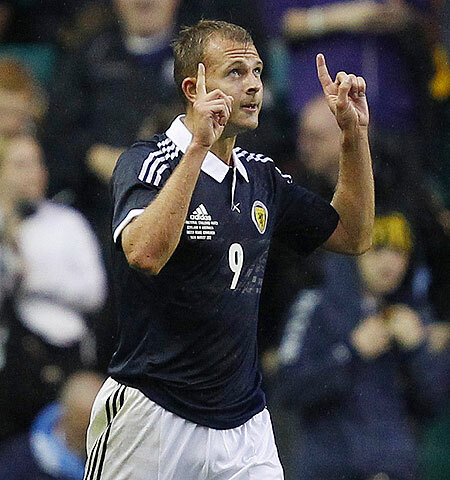 Heavily criticised Indian owners Venky's demonstrated their commitment to Blackburn Rovers by sanctioning the club record signing of Scotland striker Jordan Rhodes for eight million pounds ($12.65 million). The transfer was finalised on Thursday with the 22-year-old agreeing a five-year deal after leaving Championship (second division) rivals Huddersfield Town. "An awful lot of work has gone into this deal and we are all indebted to Mrs Desai and her family for their magnificent support," Rovers' managing director Derek Shaw said of soccer club owner Anuradha Desai in a statement. Desai is chairperson of Indian poultry empire Venky's. "From the very first day I walked in here, the owners have given superb backing for everything we are trying to do on and off the field. That is where the credit is really due." That feeling has not been shared by the fans of the former Premier League winners, who were relegated last season from the English top flight. Supporter protests at the club's home ground, Ewood Park, against the running of the club and the decisions made by manager Steve Kean are a common sight. Venky's, who purchased the club for $37 million in November 2010 and removed popular manager Sam Allardyce shortly after, have stood by Kean. Rhodes is their ninth signing since relegation in May as they look to bounce back to the lucrative Premier League. Rhodes has won two caps for his country and scored 40 goals for Huddersfield in their League One (third division) promotion campaign last season. "Jordan is a top class striker and we are absolutely delighted to bring him in," Kean said. "His record is there for all to see and I believe he can play a major role in our drive for promotion back to the Premier League." West Ham will then have the option of a permanent deal to sign Carroll for an undisclosed fee at the end of the season. "It's great to be here at West Ham and all signed up -- I just can't wait to get started now," the 23-year-old Carroll told the official West Ham website (www.whufc.com). "I want to be playing games and obviously hoping to score some goals. I know the manager well and some of the lads, so it is nice for me to come to a place where I know people." 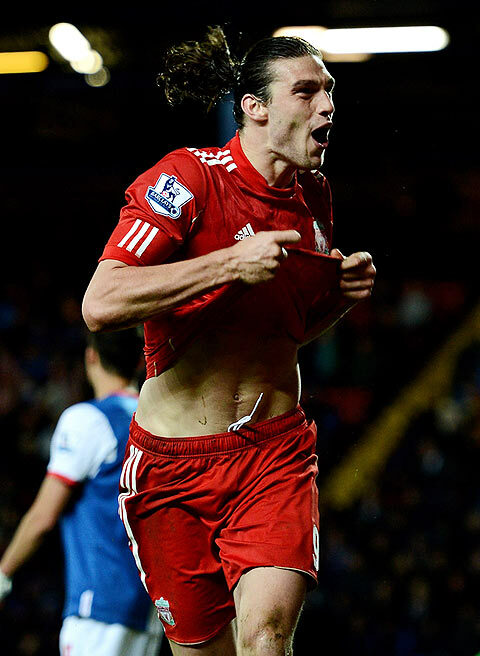 Carroll joined Liverpool from Newcastle United in January 2011 for a club record fee of 35 million pounds, replacing the Chelsea-bound Fernando Torres. But he struggled to make the same impact he enjoyed in his native north east, scoring just 11 goals in 58 appearances for the Anfield club. Carroll, who scored a fine headed goal for England against Sweden at this year's European Championship, said the chance of working again with coach Sam Allardyce had been a key factor in his decision to join the Hammers. "I'm hoping to add a lot of goals and create a few chances. I know Sam from Newcastle and he was a massive reason for me coming," he said. "When I worked with him at Newcastle it was great so it was a no-brainer really." Allardyce was keen to stress that the new addition to his squad was more than just a powerful physical presence. "I think for all parties this is a great signing," he said. "Andy is an all-round footballer, but because he is six foot three inches and one of his strengths is his aerial power, everybody dismisses the ability he possesses on the floor." Liverpool moved quickly to replace Andy Carroll, completing the signing of Samed Yesil from German club Bayer Leverkusen. The 18-year-old striker, who was in impressive form for Germany during the 2011 Under-17 European Championship, moved to Anfield on the recommendation of Leverkusen coach and former Liverpool captain Sami Hyypia. "I am really happy about this, it is my dream to play for Liverpool and I will give my all," German Yesil told the Liverpool website (www.liverpoolfc.com). "The first thing is that I have to train and then in one or two years I hope, step by step, to be in the first team. "I will work hard here. I have read how the manager here will make a team that is young and that makes many passes, and I think I can be the right player for this." Queens Park Rangers confirmed the signing of Spanish midfielder Esteban Granero from Real Madrid on Thursday for an undisclosed fee. 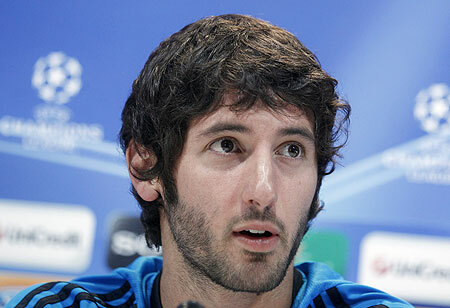 Granero, 25, a product of Real's youth set-up who has struggled to establish himself at the Bernabeu, signed a four-year deal at Loftus Road. "He is a great player, first and foremost," Rangers manager Mark Hughes told the club's website (www.qpr.co.uk). "You don't play at a club like Real Madrid if you're not. He is very well regarded there and for him to leave a club of that stature to come to us shows the belief he has in what we are trying to do." Granero said he was "excited" at the prospect of playing in the Premier League. "I think QPR will continue to grow as a club and I want to be part of a very bright future here," Granero said. "I am delighted to be part of this exciting chapter in the club's history. Players that have joined before me are as excited as I am about what QPR can become, one of the great teams in England." Granero will wear the number 14 shirt at QPR. Southampton are set to shore up their defence with the signing of Japanese international Maya Yoshida after the central defender and his Dutch club VVV-Venlo agreed to a deal, the English Premier League club said. The 24-year-old, capped 17 times by his country, will sign a three-year contract for an undisclosed transfer fee provided he is given entry clearance. He has already secured a work permit. 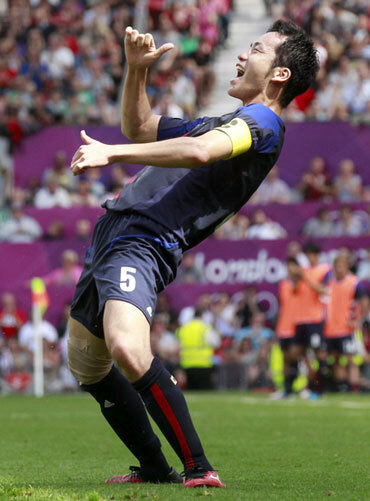 "To come to the Premier League was one of my biggest dreams since I was a child," Yoshida, who captained Japan in the 2012 London Olympics, said in a statement. "I am very grateful to become a Saint. I want to show them what I can do as soon as possible." Yoshida will join compatriot Tadanari Lee at St Mary's but it is likely he will need to wait to make his debut in England's top flight. The stopper was on Thursday named in the Japan squad for a friendly against the United Arab Emirates next week and a 2014 World Cup qualifier against Iraq in Saitama on September 11. Newly promoted to the Premier League, Southampton have lost both their opening games and face a daunting task against Manchester United this weekend. Saints manager Nigel Adkins is eager to get Yoshida, scorer of last year's Goal of the Season in the Netherlands, into harness. "We are delighted to bring Maya into the club," he told Southampton's website. "He is a centre half who is comfortable on both the right and left-hand side. He has a good physical presence." Yoshida is the second deal this week lined up by Saints after African Cup of Nations Golden Boot winner Emmanuel Mayuka and his Swiss club Young Boys agreed transfer terms. Southampton are also hopeful of signing Uruguayan winger Gaston Ramirez from Italian side Bologna.